The overwelming popularity of Renaissance Fairs and Medieval jousting has reinvigorated the interest in medieval riding. There is such a variety of time periods and designs influences for medieval saddles and tack that each outfit is custom made for the time period desired. Call for Pricing. 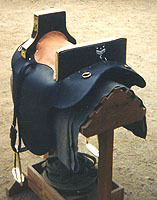 Joust saddle with brass plates on pommel and cantle. 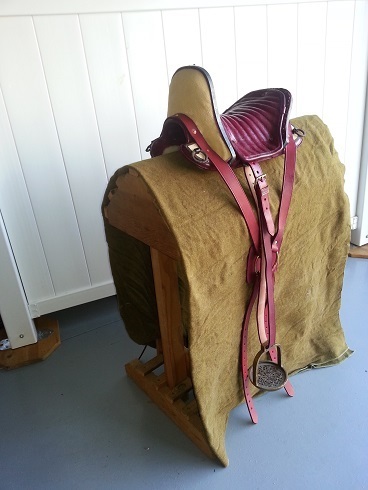 This is a great ceremonial saddle for a duke or king. 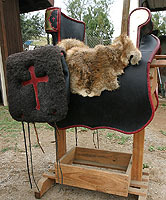 Shown with fleece covered saddlebags with inlayed leather. 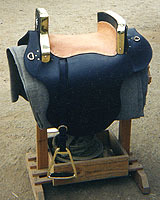 This saddle was made for an SCA member and has her device on the cantle. The device is hand painted like originals. 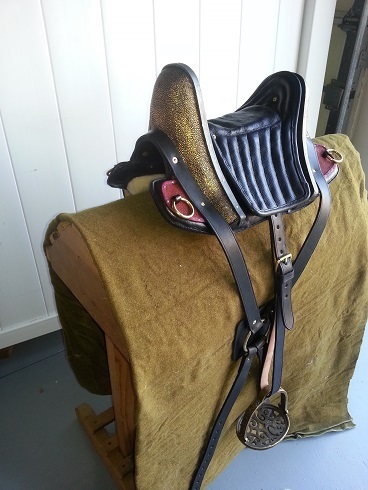 Please leave Phone Number and Address on E-Mails) Visa and MasterCard is accepted on all purchases (Saddles and Tack only). 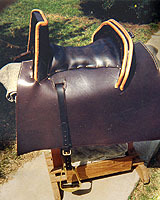 All shipping and state taxes are not included in the price listed. All purchases made out of the United States are to be made in U.S. funds. Catalogs available for $3.50 in the U.S. Out of the U.S. $5.00.